This entry was posted in Faculty News, Research on November 30, 2014 by Mark Del Mastro. 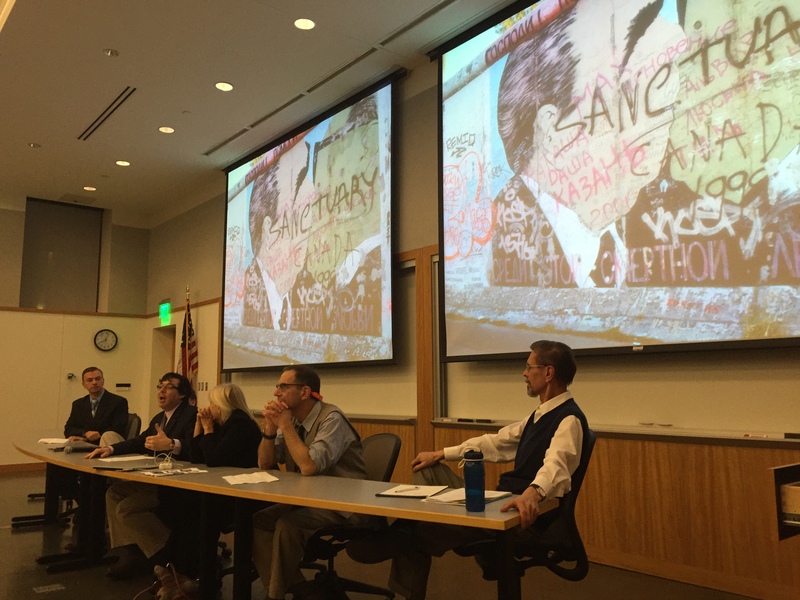 The Department of German and Slavic Studies, the Global Business Resource Center, the Global Awareness Forum and the Initiative Public Choice and Market Process sponsored a roundtable discussion entitled”The Night the Berlin Wall Fell and Germany rocked! A 25th Anniversary Commemoration of the Fall of Berlin Wall” on Thursday, November 13, 2014 at 7 pm in the Mathematics and Science Building, Room 129. Dr. Malte Pehl, Assistant Professor, International Studies Dept. Dr. Max Kovalov, Initiative for Public Choice and Market Process and Adjunct Instructor, Political Science Dept. The panel discussed this monumental event in terms of its place in history and offered first -hand accounts of how Germany’s division has impacted the panel members’ lives. The presenters also highlighted historical memory from post-Soviet economic and political perspectives. This entry was posted in Faculty News, Research on November 18, 2014 by Mark Del Mastro. This entry was posted in Faculty News on November 12, 2014 by Mark Del Mastro.